Today’s Sam’s Scores will be 4 old scores and a bonus at the end, enjoy! 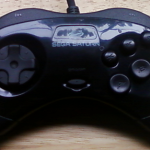 Although I don’t even own a Sega Saturn (yet), when I found a controller for the system I wanted it! 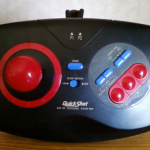 It looked to be in good shape, all the buttons have a nice stiff response, so I assume everything works. Surely not something you see everyday at a thrift store, at least not for me. This may look like a repeat of a previous score, but there is a difference. 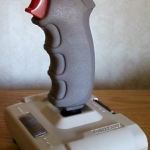 This one is actually a Quickshot brand joystick and the other was Radio Shack’s Archer brand. They are nearly identical in every aspect, except for the brand markings. I will be going into a little bit more detail with the pair in a later article. But for now, lets show off that price! 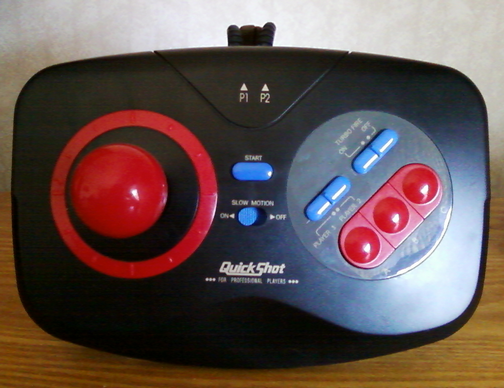 The Quickshot Maverick 3 was obviously modeled after the NES Advantage, which I happen to love. Naturally when I saw this I had to weigh the price vs unknown functionality in my head, but what I bought with it (see below) really helped push my choice over the edge. Luckily, everything works well with the exception of a weak turbo on/off switch. 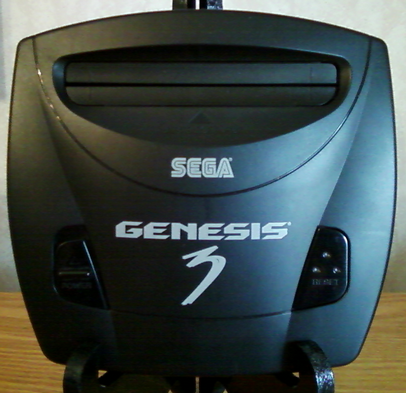 The Sega Genesis 3 was the smallest and last Genesis ever produced, and from what I understand it wasn’t even made by Sega! 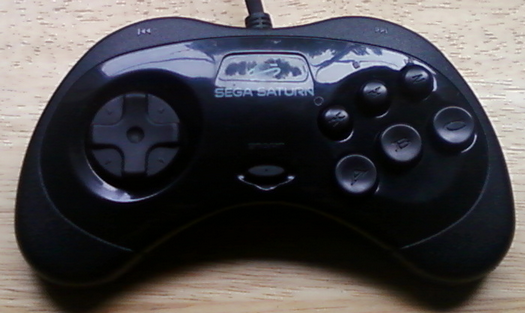 Sega gave Majesco the rights to make this little system and slap their name on it. 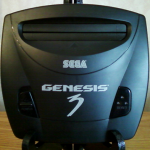 The Genesis 3 has the bare essentials to play Genesis games, and I do mean bare! 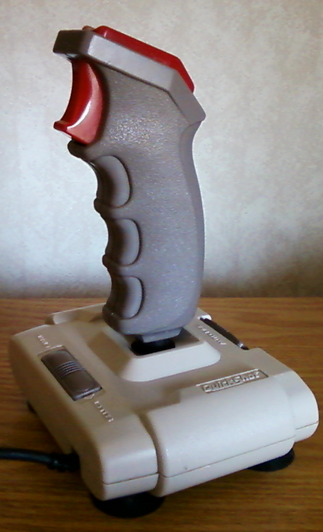 This system isn’t compatible with all Genesis games, nor any Sega CD or 32x attachments. Since I don’t own any of those attachments, the system works perfectly fine for me. When your video game collection starts to grow, you need somewhere to store it all. I had been using cardboard boxes, but lately those have been spilling out onto anywhere my video games will go. 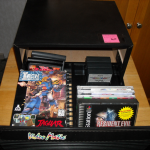 While I was on the hunt for video games I came across 2 very useful ALS (a company well known for making storage drawers and carrying cases for the video game industry) storage systems. 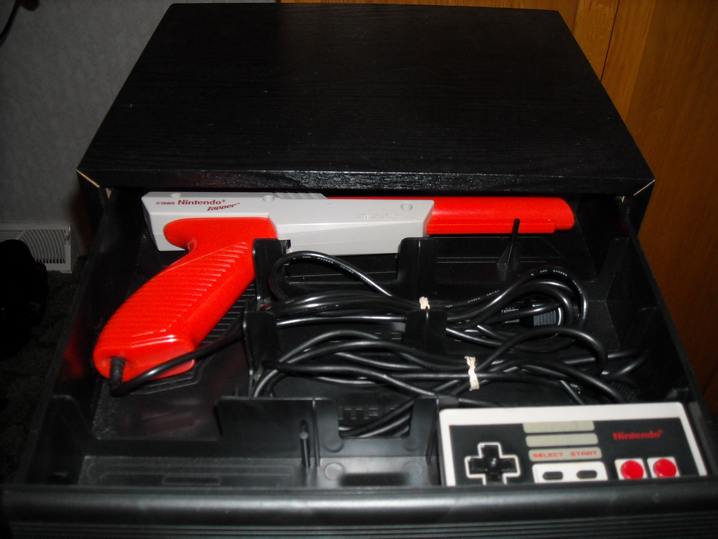 The first of which is a Nintendo unit with 2 draws that holds the Zapper and 2 controllers at the top, while holding up to 28 NES games at the bottom. 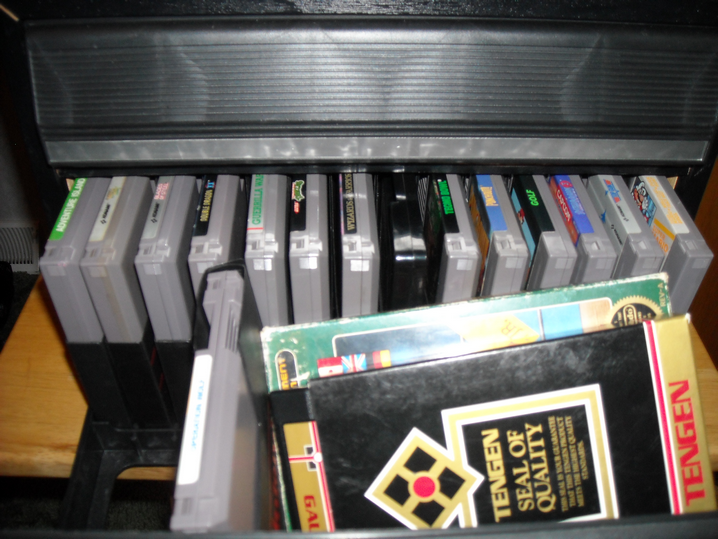 It will only hold loose cartridges in sleeves easily, but it may hold fewer boxed games, just not very well. 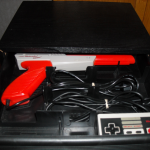 The top has a special place for the cables for the controllers and zapper, but if you wrap them tightly enough, they will fit under the controller, giving you more room for other cables. 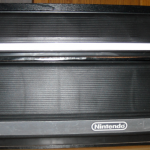 The second unit is based off their Sony Playstation drawer, only this one just says Video Matic on the front. 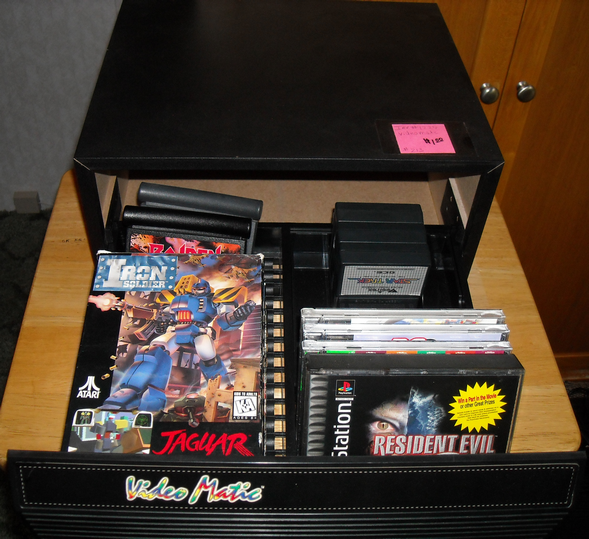 It is a single drawer unit, meant to hold CD cases but I find that it holds a lot of other games just as well. 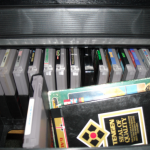 There was a little organizer inside, but after a while it got in the way of other games so I took it out. The outer box of these units is made of particleboard and a black vinyl is glued on top, while the drawers are made of pretty solid plastic. These units stack really well, saving me room, and have really been helpful in keeping my collection under control. 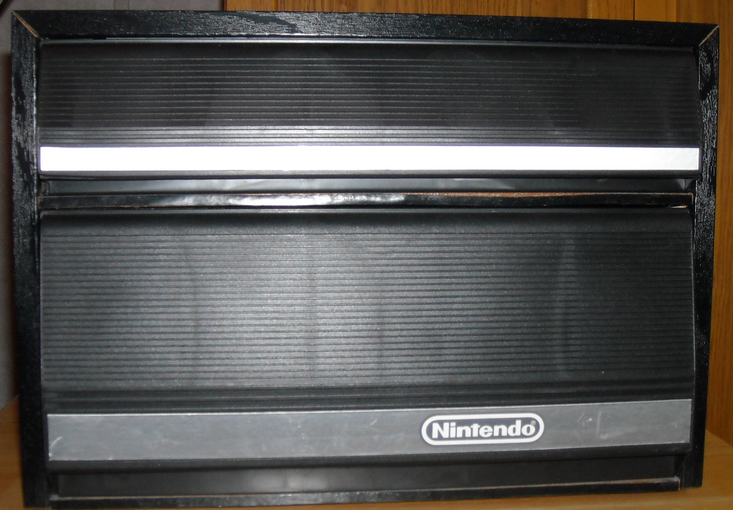 I found the Nintendo one on a half price day at Goodwill. The Video Matic came from a flea market where I initially passed it up, until I did more research on what it was used for, but went back the next day to pick it up. I found mine at Goodwill, but I never saw one before and haven’t seen one since. I’ve seen them on ebay, but they’re expensive. I honestly couldn’t say where to find one for a good deal.